Knowledgeable and dedicated experts are standing by. and help you keep them looking that way. Floors. Countertops. Bath & showers. Outdoor spaces. Walls and fireplaces… We know what it takes to make them look new again and help you keep them looking that way. Are your natural stone floors or countertops scratched, chipped, etched, or dulled? 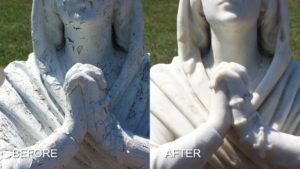 We can clean, polish, repair, and restore marble, limestone, travertine, granite, slate, and other natural stone to like new in both interior and exterior applications. 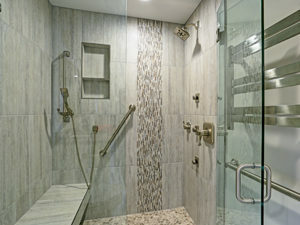 If you’re tired of dealing with mildew and hard water stains in your shower, we provide long-term solutions, from deep cleaning and sealing to stain removal. 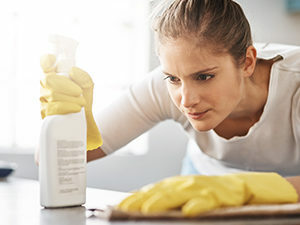 If your slate is chalky-looking, we can determine whether it is due to efflorescence or aged coatings and then strip and clean your slate to restore it natural beauty. If you are looking for expert services on your terrazzo or concrete, you’ve come to the right place. Yellowed, dirty, or damaged terrazzo can be honed and polished with a natural finish that eliminates the need for stripping and waxing, and what we can do with concrete is simply amazing. We’re fully equipped to deliver the concrete floor solutions you are looking for, from concrete prep and repairs to polishing and sealing. Our professional tile cleaning services extract deeply embedded dirt and grime, producing dramatic results. 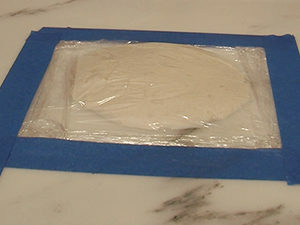 We seal and color seal grout lines, too! 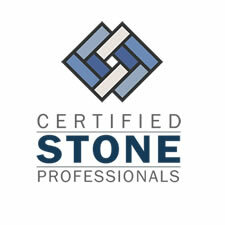 At Certified Stone Professionals, we are dedicated to providing the highest quality floor and surface care solutions at fair and competitive prices. All things considered, this is what we strive to accomplish the most. READY TO TALK ABOUT YOUR NEEDS ? 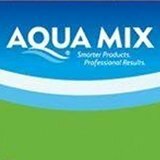 If you are in the Buffalo or Western NY area, contact us and let us know how we can make your floors and surfaces look sensational. Click here to subscribe and to view our current issue.